There has been a prolonged spell of cold weather in Eastern Scotland. Temperatures have rarely risen above 5°C, with hard frosts overnight. However, a warm front moved in on Tuesday night and the last few days have been significantly warmer†. The lack of activity at the hive entrances and a quick peek under the insulation through the perspex crownboards (where fitted) indicated the bees were all tightly clustered during the cold spell. Furthermore, the absence of debris on the removable Varroa monitoring trays fitted to many of the open mesh floors, suggested that little or no brood was being reared. There was another clue that the colonies are likely broodless. I had been recording the natural Varroa drop of a few colonies over the last month. 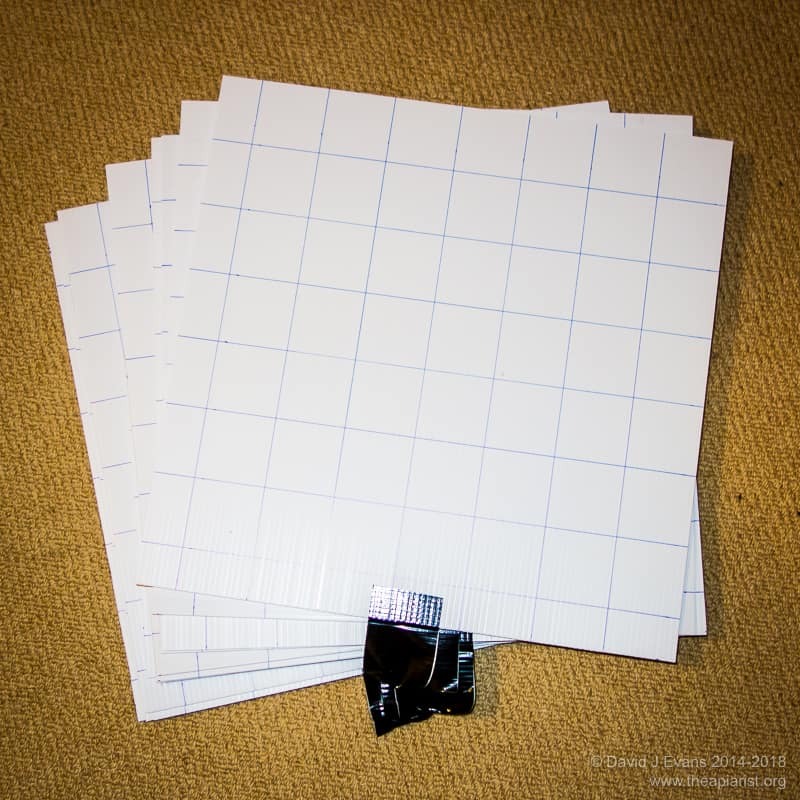 I did this by simply counting Varroa at each visit, calculated on a mites/day basis. Although generally low (and very low in a few colonies), it had been steadily increasing. This is a good indication there were more phoretic mites in the colony … again, presumably due to the absence of suitable brood for them to parasitise. With little or no brood in the colonies, now is a perfect time to treat with an oxalic acid-containing preparation to hammer down the remaining mite population. I’ve previously discussed the importance of this midwinter treatment (see Two treatments … a double whammy). In many ways it’s preparation for the season ahead, rather than for the protection of the bees already present in the colony. The lower the mite levels are at the beginning of the season, the longer it will take for the mite population to reach dangerously high levels. You can model these events using BEEHAVE. This is an interesting in silico model of a beehive. With mite numbers of ~10 at the beginning of the year, maximum levels reached are low to mid-hundreds by late summer, reducing to a couple of hundred the following winter. This assumes no intervening treatment and runs the model using all the default settings. In contrast, using the same parameters but starting the year with ~100 mites, levels peak at between 3000 and 4000 mites, returning to about 1800 in December. Remember that the National Bee Unit recommends mite levels should not exceed 1000 or there is a risk of “significant adverse effects on the colony”. Therefore, the midwinter treatment is an important preparation for the year ahead, delaying the point at which these dangerously high mite levels are achieved. Have your hives got less than 100 mites in them now? Remember also that, with no sealed brood, midwinter is also the ideal time to expose as many mites as possible to the treatment. With the exception of prolonged treatment with hard chemicals like Apistan or Apivar, it’s probably the only time you’ll achieve greater than 95% reduction in mite numbers. With little or no brood present there’s nowhere for the mites to hide. An oxalic acid-containing treatment is recommended in midwinter. 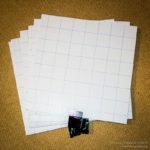 This can be delivered by dribbling or sublimation (vaporisation). Under optimal conditions, efficacy of the two methods is broadly similar (90%+) though there is some evidence that dribbled oxalic acid is slightly detrimental to colonies (when compared with sublimation, but not when compared to doing nothing). Api-Bioxal is the VMD-approved oxalic acid-containing treatment. If used for dribbling be aware that the suggested concentration on the side of the packet is higher than conventionally used in the UK. It’s also worth noting that it’s not available pre-mixed so has to be made up from powder. In this regard it’s a less useful product than the pre-mixed oxalic acid solution that Thorne’s (and possibly other suppliers) sold each winter. The one- or two-hive beekeeper needs to weigh out very small amounts accurately, or get together with others to make a large batch. Hardly what I’d call progress. Furthermore, the inclusion of glucose and powdered silica (as an anti-caking agent) in Api-Bioxal means it leaves a caramelised mess if used for vaporisation. Although a scouring pad and elbow grease will get rid of this mess, it’s another example of how the “approved” commercial product is actually less good – and no more effective – than the oxalic acid dihydrate that beekeepers have been using for 20 years or more. Notwithstanding these negative comments, Api-Bioxal works well and is less expensive (per treatment) than most of the other VMD-approved Varroa treatments. The forecast for the next 7-10 days is for significantly warmer temperatures. This means that the queen – if she was having a break from egg-laying – will start laying again. There will be open brood by this weekend and sealed brood in your colonies by about the 15th of December‡. Dribbled oxalic acid is detrimental to – and may kill – open brood so if this is your preferred method of treatment then don’t delay. If you sublimate you’ve got a few days leeway, but don’t delay any longer than that. Here are a couple of old videos showing trickling (dribbling) oxalic acid onto a large and small colony in the middle of winter. The Trickle bottle from Thorne’s makes administering the treatment very quick and easy. Of course, sublimation using an active vaporiser like a Sublimox is even faster and doesn’t involve opening the colony. Here’s an example showing treatment of a recently hived swarm in midsummer … I could have removed the Sublimox after about 30 seconds. The Daily Mail may be predicting the coldest winter since the last ice age (so perhaps there will be another broodless period§) but I wouldn’t rely on them to influence something as important as the midwinter treatment for reducing Varroa levels. † Here’s a perfect example of the problems encountered by the ‘topical blogger’. 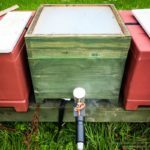 I wanted to write about midwinter Varroa treatment in the middle of winter, at a time when others – particular new beekeepers – should be treating their own colonies. Typically these treatments are made in late December or early January. However, the long-range (10 day) forecast in late November suggested the second week of December might be suitable. Some of this was therefore written in very late November, the Varroa drop comments added once I’d completed counting around the 4th to the 6th, and the post finished off the following day once I’d treated my own colonies. 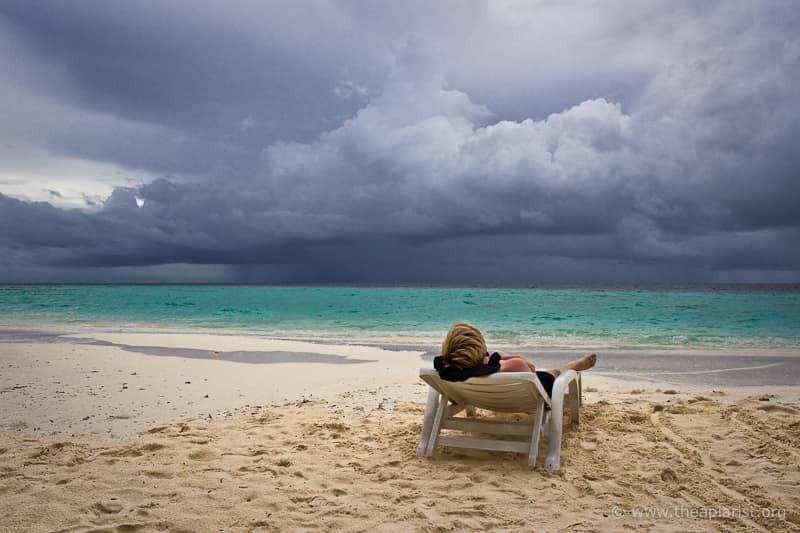 ‡ This assumes that the queen started laying on the 7th, the first full day with elevated temperatures. § I didn’t open any colonies to confirm they were broodless. I was happy enough to take the clues from the increased mite drop on the Varroa trays and the absence of debris indicating uncapping of brood cells. However, I was told by friends that other colonies they opened on the 7th were broodless. 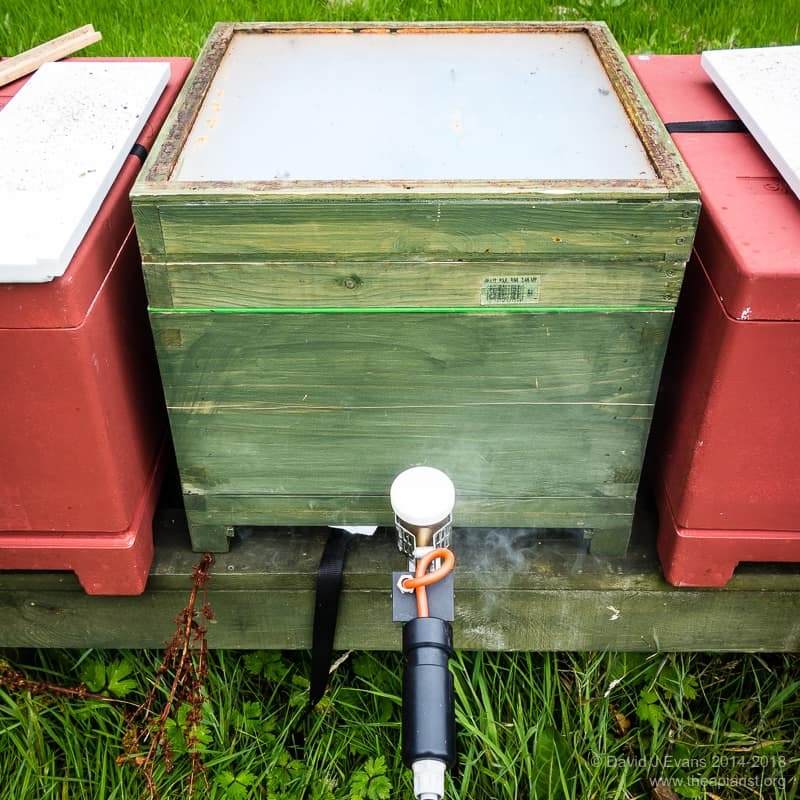 This entry was posted in Beekeeping, Varroa control and tagged Api-Bioxal, BEEHAVE, deformed wing virus, DWV, mites, National Bee Unit, NBU, oxalic acid, sublimation, vaporisation, Varroa on December 9, 2016 by David. 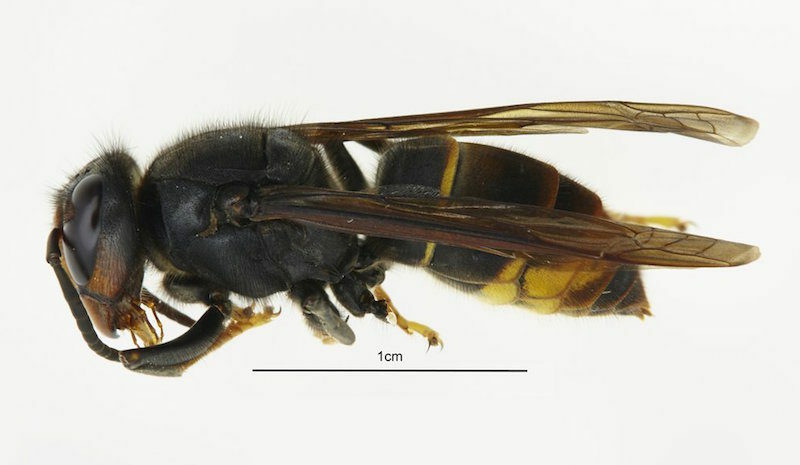 The National Bee Unit has confirmed the discovery and identification of an Asian hornet in Tetbury, Gloucestershire. The press release has further details. These hornets are smaller and darker than the European hornet. Note in particular how dark the abdomen is, with only the fourth segment predominantly yellow (in contrast with our European hornet where at least half of the abdomen is yellow). The National Bee Unit has a very useful guide to identifying the Asian hornet (Vespa velutina) and distinguishing it from the European hornet (Vespa crabro). Inevitably there’s going to be a lot of statements about “the end of beekeeping as we know it” and speculation of the impact it will really have on our colonies. Time will tell whether it’s been identified early enough to eradicate, how it arrived in deepest Gloucestershire and where it came from. The Asian hornet has been established and spread widely in France since inadvertent importation in 2004 from China. It was discovered in the Channel Islands earlier this summer. It’s arrival on the mainland was expected, but is nevertheless disappointing. This entry was posted in Beekeeping, Invasives and tagged asian hornet, Feck, invasive species, National Bee Unit, NBU, SHB, small hive beetle on September 20, 2016 by David.